Overview... an American electrochemist working on a potentially revolutionary formula for cold fusion. If Emma is successful in creating clean, cheap, renewable energy through a chemical reaction, it would transform the world. It would also spell very bad news for oil companies, which means some very rich and powerful men are extremely interested in her work. 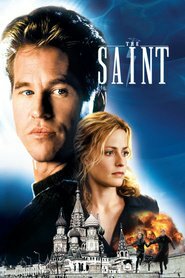 One of them hires dashing international thief Simon Templar, nicknamed “The Saint” because he uses the name of Catholic saints as aliases, to swipe her formula. Personality... brilliant, but a bit socially awkward. Emma is beautiful, but she scarcely seems to notice it. All the time she spends in the lab helps make her a great scientist, but doesn’t do much to help her romantic life (or get a tan). She’s dazzled when a dashing stranger sweeps her off her feet, then crushed to learn that he’s a high-paid conman only after her equations. Though The Saint just might have fallen for Emma too, even if he doesn’t want to –  or can’t – admit it. Emma Russell's popularity ranking on CharacTour is #3314 out of 5,000+ characters. See our top-ranked characters and read their profiles.